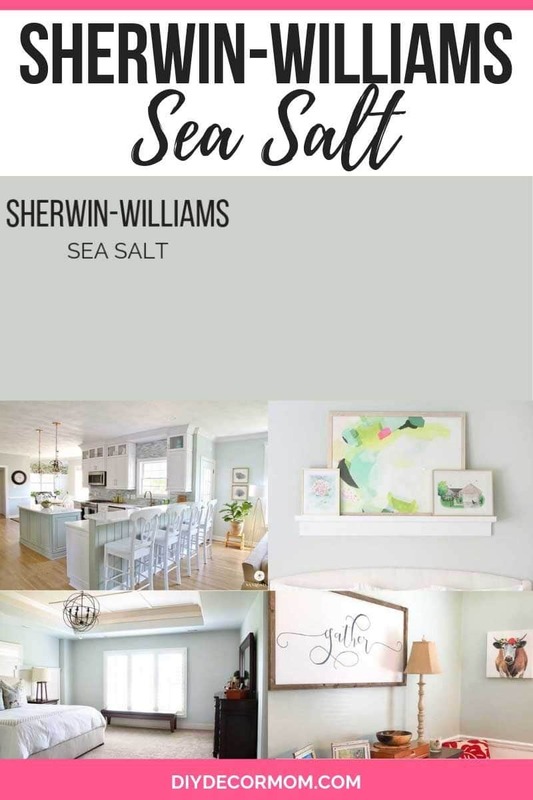 Sherwin-Williams Sea Salt: Looking for the perfect beachy serene paint color for your house? SW Sea Salt is a fabulous coastal paint color that goes well with others, and will provide a relaxing atmosphere in your home! 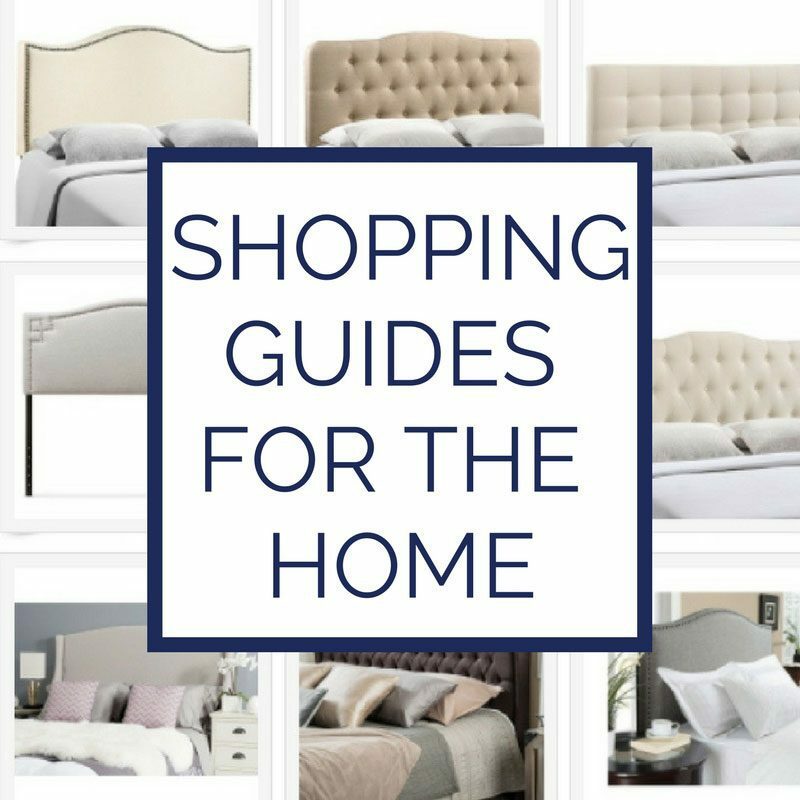 Read more to see the undertones, coordinating colors, and Sherwin Williams Sea Salt bathrooms, master bedrooms, and living rooms! Like I said above, the undertones are largely dependent on the lighting and orientation of the room. In South facing rooms which always run a bit warmer, it will come off slightly greener. 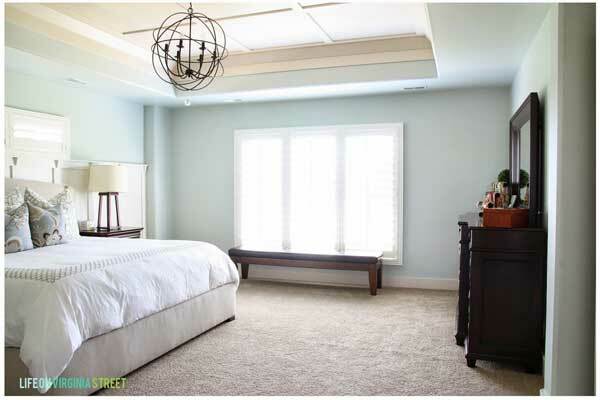 While, the opposite is true–in North facing rooms, it will come off as more blue. Test it in your room for the best results! 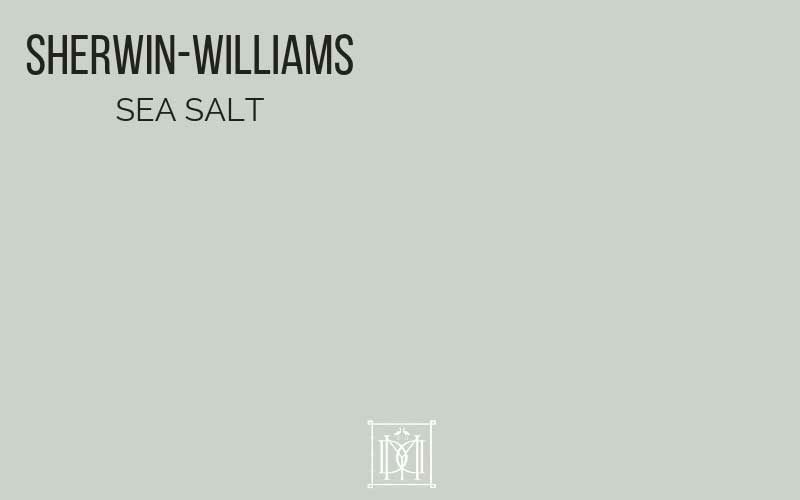 What makes Sherwin Williams Sea Salt so versatile, and such a strong color in my mind is its gray base. A straight blue or green, doesn’t read as sophisticated as a grayed out version which is usually a better bet in my opinion. 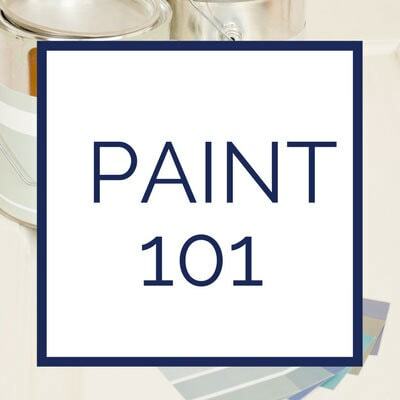 The following three paint palettes go well with Sherwin Williams Sea Salt. So much is to your taste and liking, but these are great combinations that work with open concept and traditional floor plans. 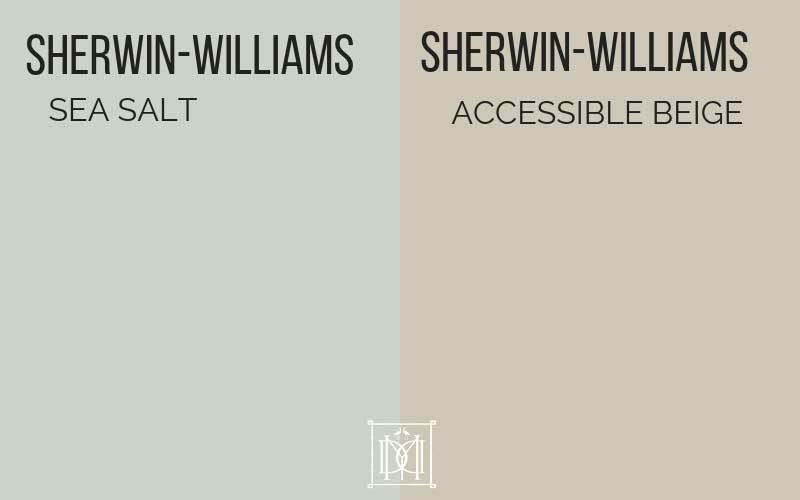 You can see one of the most popular combinations below, Sherwin-Williams Sea Salt and Sherwin-Williams Accessible Beige. Now, let’s see SW Sea Salt in some actual rooms! 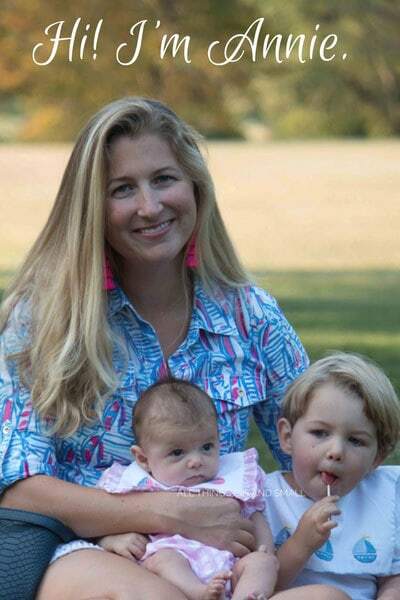 Make sure to click the link below the picture and check out the blogs listed so you can get a better understanding of the light conditions, remembering what I said above about the undertones. 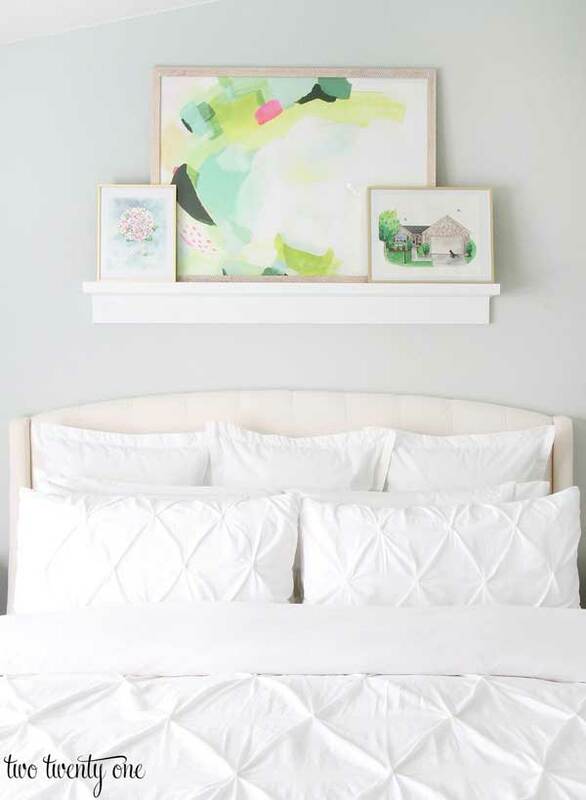 Chelsea from Two Twenty One shows how good Sea Salt looks with crisp white bedding and abstract art! Life on Virginia Street shows how you can pair SW Sea Salt with wood tones for a sophisticated palette!! 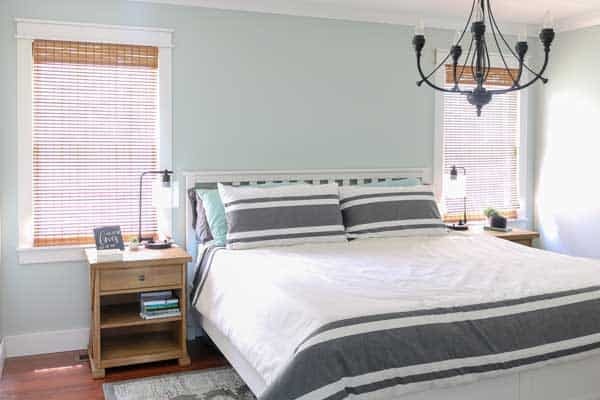 Living Letter Home demonstrates how well SW Sea Salt looks with dark gray accents and natural bamboo blinds. 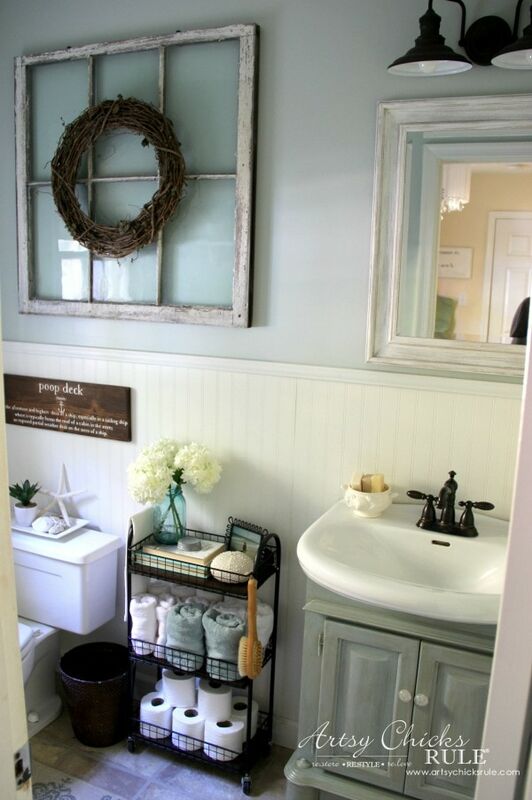 Artsy Chicks Rule Sea Salt bathroom shows how versatile a tone it is–it looks great with farmhouse decor and coastal decor alike! 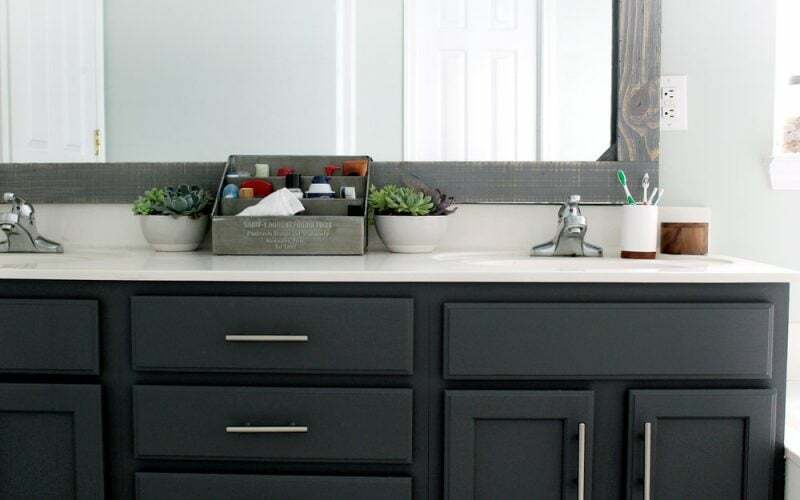 Tag and Tibby Sea Salt Bathroom nails it with the dark gunmetal vanity! 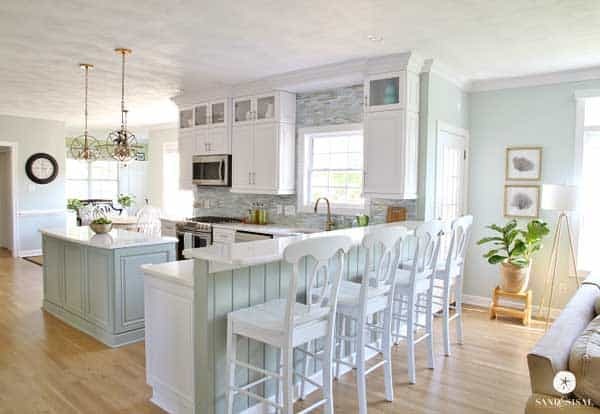 Sand & Sisal shows how to do a beachy coastal kitchen–I love the Sea Salt cabinets and the white! 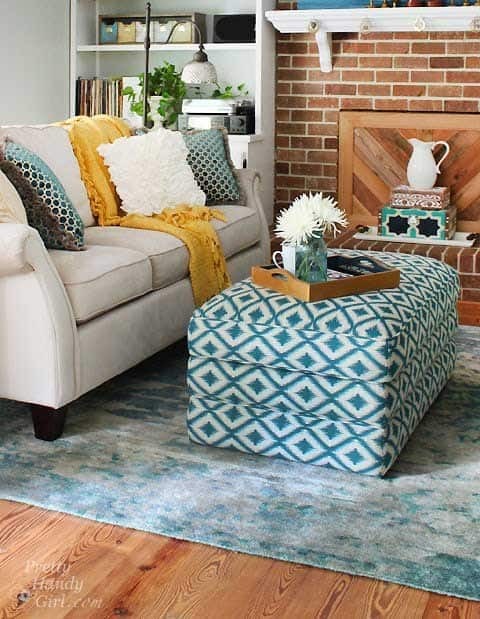 Pretty Handy Girl’s Sea Salt Living Room demonstrates how good it looks with brick and other warm wood colors. Create and Find’s Sea Salt painted wallpaper is genius if you want a textured wall in the color of SW Sea Salt! 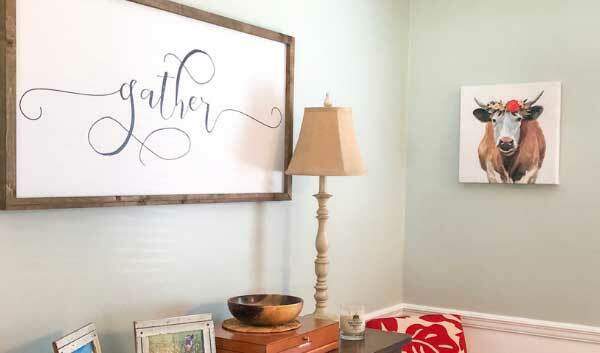 STILL STUCK ON PICKING PAINT COLORS? 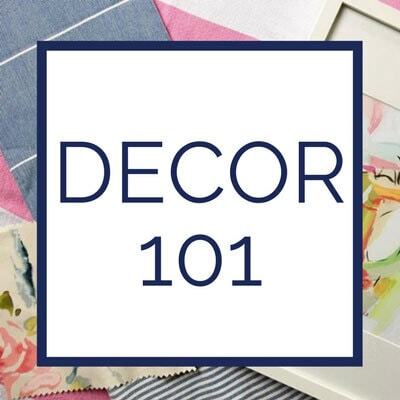 Here are my top tips for picking out paint colors that you love! Research it online! You’re already doing one of the first steps! Look at the paint color you want, and explore different and similar options. Go to the paint store and grab those paint chips! Grab extra so you can see how the different colors compare, and view the undertones of each. Time to sample! Prototype those paint colors so you don’t regret it! 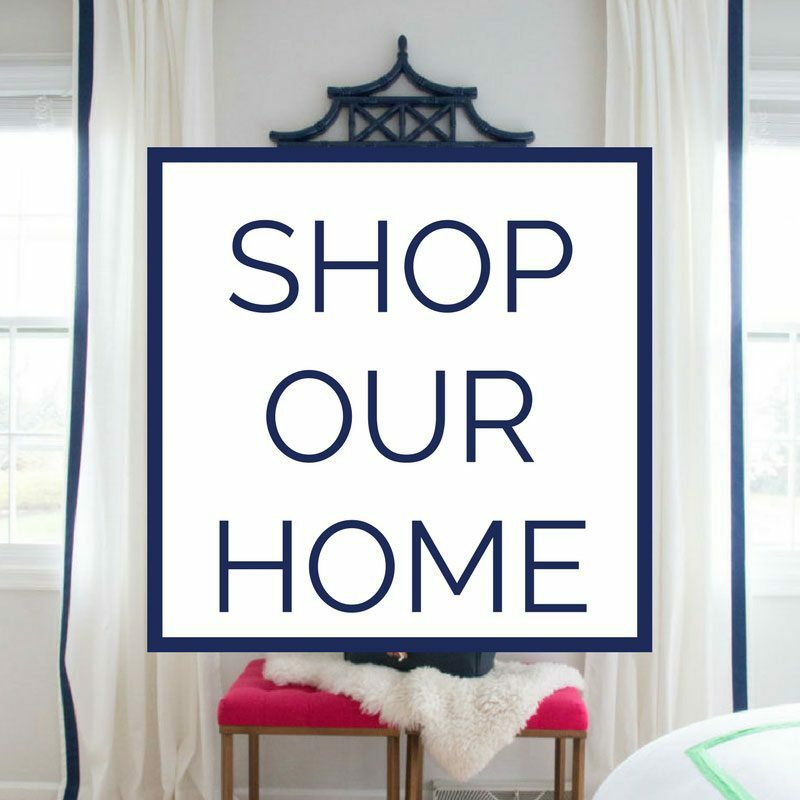 Read more about how to pick paint colors for your home here! 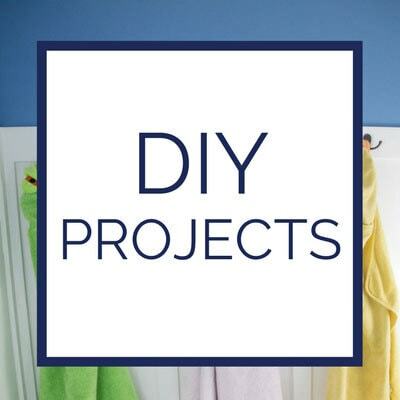 Want a whole house color scheme? See my tips here!